July has seen a quick succession of standalone EP’s released by women in Nashville; Caitlyn Smith, Molly Parden and Joy Williams. The story and words are the prime focus of these artists who refuse to stick to one “type” of music and who bend genres, and at times reimagine them, all in service of the story. The first of them is Caitlyn Smith’s EP Starfire (July 8), which, because who has written for in the past and where she lives, could lazily be called country but the sound and lyrics are more akin to those artists who sing the blues. Detail is important to Smith; it glues her stories together. Think Taylor Swift’s All Too Well. Next is Molly Parden’s With Me in the Summer EP (July 15), which unlike Smith, leaves the details vague and lets the instrumentation and atmosphere do the talking. Despite the differences, both draw you into their worlds and their stories, and allow you to find yourself and your experiences in the melodies. The EP is bookended by songs that could very well represent the hopeful beginnings of summer and the inevitable drawing in of nights as summer disappears in place of Autumn. Last is Joy Williams’, formerly of The Civil Wars, Venus (Acoustic) (July 22) produced by Charlie Peacock, an epilogue of sorts to her 2016 EDM release Venus. Williams has gone back to where it all started; an acoustic guitar and her voice, which is free to roam on a seven track selection of songs both from the original album but also never heard before songs. The EP gives the listener a much more calming and peaceful but nevertheless a moving listening experience; one that allows you be explore the more vulnerable corners of your self in the safety of a song. Over the next week or so, I will pour over these three EP’s by these artists who are passionately intent on producing honest, vulnerable and beautifully crafted songs and stories. Records that often mean the most to us, come to us when we need them the most; a longing to feel understood; therapy to heal our heartbreak and sadness; and at times, when we can’t put what we feel into words or even when we don’t know what we feel, a song can give us that understanding. It’s powerful, and at times can be both painful and comforting. 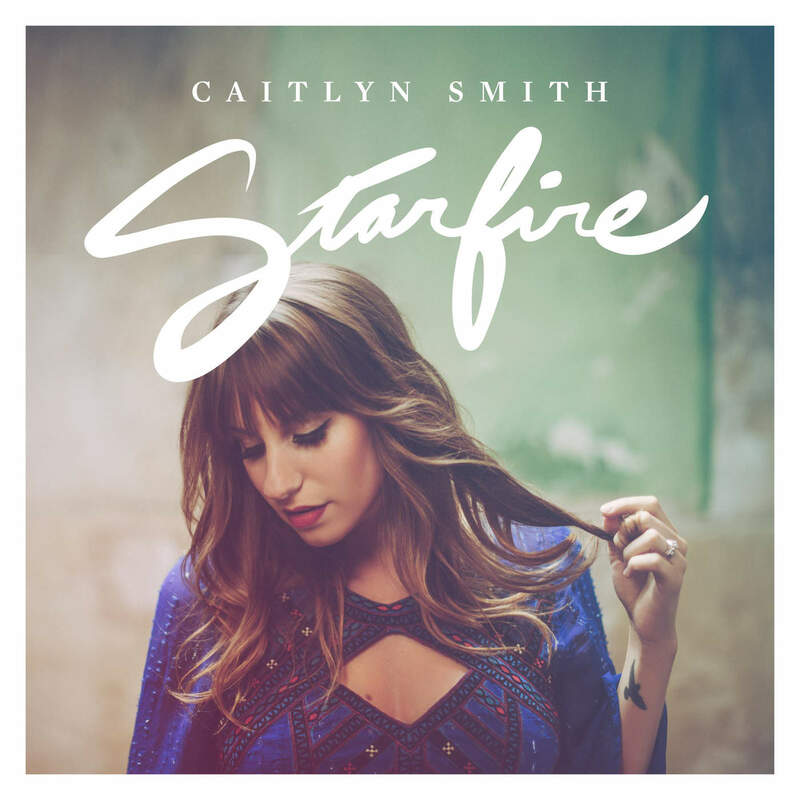 Starfire, the new EP by singer-songwriter Caitlyn Smith, does all those things with ease. Maybe it’s because Smith sings, writes and arranges more like a blues artist rather than the country artists she writes for. Think Billie Holiday over Dolly Parton. With Starfire’s heavy bass lines, electric guitar riffs. sprawling instrumentals and Smith’s vocals that feel each word and every note with intensity. Whether it be the heartbreak and sadness of ‘Tacoma’ or the joyousness of finding true love after so much brokenness in ‘Before You Called Me Baby’, the music definitely runs in the vein of blues and soul. Even Smith’s stage presence lends itself to those blues and souls artists who sung not because they had a choice but because they had to. You can feel this pull and longing and need to wring out one’s soul throughout the EP. Or maybe it’s simply because Starfire was made purely for Smith and her love of music, rather than for an audience. The record opens with ‘Before You Called Me Baby’, with its heavy electric guitar intro followed by Caitlyn’s soulful and emotive vocals, creating a sparseness but one that never feels empty or sad. Drums follow soon after and the track fills out and grows, like a heart does when it finds love. As the song moves into the second verse, Smith’s ache and longing come into the foreground; her vocal growl that pushes the words forward and out into the room. It is obvious to anyone that Smith has a powerful and a soulful intensity to her voice but she never over does it nor does she use when she doesn’t have to. She reels it in on the vulnerable lines and let’s it almost run away from her but never quite, on the songs where she wants you to listen. Words convey the story but it is only the complexity of Smith’s voice and the way in which she delivers the lyrics, does the song get given its meaning and you fully feel the emotional weight. ‘Before You Called Me Baby’ and ‘Do You Think About Me’ bleed into one another like open wounds and memories. Opening with a lone drum beat, bass line and her vocals, and unlike the previous song, the emptiness and sparseness is overflowing with sadness, and that uncontrollable urge we have all experienced to drag the past back, like finger nails through the dirt, back into the present. The verses are full of details and memories of a person long gone. Memory of the person and memory of place is the fabric that glues this song together, and reminds how little everyday things can bring us to our knees when the person we lived them with are no longer with us. And even when the arrangement for the chorus grows and multiplies, the urge is still there, and the sadness and heartbreak an ever lingering ghost, that never seems to dampen. By the last chorus, you can feel the emotional exhausting starting to crack through in Smith’s vocals and even in the instrumentation itself. “I think about you all damn night/ I think about you all damn day/ I think about you driving around in the same little town/ And going on without me baby/ I wonder if your happy now/ If your ever gonna be/ I think about you all the time, all the time, all the time/ Do you think about me? Do you think about me? ‘Do You Think About Me?’ though comforting as much as a torch song can be, in that someone else feels what I have felt, cuts a little too close to the bone, and leaving me forlorn and looking back at a ghost that has already closed the door. ‘Tacoma’ is perhaps the centre piece of the EP, both literally and figuratively. The instrumentation soars and flies, the strings and vocals evoking wide open highways and sparse landscapes, and a heart running wild and broken through Memphis, Tulsa, Mizzoula and ultimately Tacoma. In the utterance of “the joker; the fool, the last to know” you can hear the pain and anger pulsing through gritted teeth but as the song reaches its crescendo, you can feel Smith’s strength and power return in her soaring and blues tinged voice. Being creative always comes with its own range of pitfalls. From being told your art is ill conceived, not popular enough, too popular, to it being “too much”, “too naked” or “too beige”, cutting yourself open and being vulnerable can be an exercise in masochism. In the title track of Starfire, Smith stakes her claim on the premise that what she does is for her and her alone, and that quite frankly, what she does is not done for you or me. Tough words are backed by tough, gritty and pulsating instrumentation full of heavy drums, electric guitars and Smith’s gritty and determined voice. At times, it’s almost as if her and the music are willing the unnamed critic, the naysayer, to take another shot at her and see what happens. There are a lot of self-empowerment anthems on the musical landscape and most make me want to run straight back into the arms of those artists who have enough penchant for melancholy for the whole world. But Starfire feels different. Perhaps because of what proceeded it and what comes after. It is bookended with deeply vulnerable songs. It also does not try be all “zen” about itself like a lot of female musicians tend to be. For fear of being ripped to shreds for not being perfect or for being just as destructive or badly behaved as their male counterparts, they tend to prettifie their faults as lessons learned rather than merely being proud of who they are and the mistakes that made them this way. The song is perhaps the quietest on the EP, with an acoustic guitar picking over the notes and a piano softly creeping in from the wings. As the song reaches the middle, strings blow gently into the track, wrapping itself round the words, leaving its fingerprints of melancholy all over the song. Starfire is perhaps one of the most intricately and moving pieces of art I have experienced. Well written, exquisitely arranged, and with vocals to die for. It has you feeling the words, the notes and the emotions all the way right down to your bones.